When the Kemalist regime began to enact its cultural reforms one by one in the middle of the 1920s, Muslim scholars had to choose one of two possibilities to show their reaction. Either they deny Kemalist reforms as a whole and become dissident political figures or they continue their struggle within religious institutions pressured by cultural reforms. Said Nursi is the most famous example of the former while Ahmet Hamdi Akseki, although only known by intellectuals, is an example of the latter, as İsmail Kara, who is the most prominent expert on the history of Islamism during the Republican era, has said. Akseki is known for his service as head of the Presidency of Religious Affairs and popular religious publications he made as a government official. Akseki was born in 1887 in Güzelsu in the Akseki sub-province in Antalya province. His father Mahmut Efendi was the imam at the district mosque. His mother's name was Hatice Hanım. He learned how to read the Holy Quran from his father before he received "tajwid" (rules for reciting the Quran) lessons from another imam named Hatip Ali Efendi. After that, he followed the lectures of Abdurrahman Efendi in Mecidiye Madrasa. He took classes in Arabic, Persian, the Islamic belief system, "tafsir" (interpretation of the Quran), "fiqh" (Islamic law) and hadith (sayings of the Prophet Muhammad). At age 10, Ahmet Hamdi lost his mother. At age 14, his father sent him to the madrasa of Karamanlı Süleyman Efendi in Ödemiş, İzmir, for an Islamic education. In 1905, Ahmet Hamdi moved to Istanbul to follow lectures by Bayındırlı Mehmet Şükrü Efendi at Fatih Mosque. Beside the popular Islamic tradition, Ahmet Hamdi also studied modern knowledge. He passed the required exam and was admitted to the School of Theology at Darülfünun - later Istanbul University - where he learned philosophy and psychology besides English. At 32, Ahmet Hamdi Efendi had three diplomas from different faculties of the madrasa and Darülfünun. In other words, he was schooled both in traditional and modern ways. He obtained the title, "dersiam" (teacher of people), which was an Ottoman title for Muslim scholars serving as teachers in mosques, while "mudarris" was the title for madrasa professors. Ahmet Hamdi wrote columns and articles for Sebilürreşad magazine published by Eşref Edip. The famous poet Mehmet Akif was the editor-in-chief of the magazine. Ahmet Hamdi worked as the Romania-Bulgaria correspondent, as well. Once, he visited rural Bulgaria and helped Muslims there improve their knowledge of Islam. He published his observations, "Letters from Bulgaria," in Sebilürreşad. Some of his articles were also translated into Arabic and published in magazines in Beirut and Cairo. In 1916, Ahmet Hamdi was appointed as a teacher of ethics, religion and religious philosophy at the Naval School in Heybeliada. Between 1916 and 1918, he also worked as a preacher in significant mosques in Istanbul, such as Pertevniyal Valide Sultan in Aksaray, Dolmabahçe, Mihrimah Sultan in Üsküdar and Hırka-i Saadet in Fatih. In 1919, he became a of philosophy of history professor, and in 1921 he became a professor of psychology. Akseki is among the Islamists who helped the Turkish National Movement in the early 1920s. In 1922, he moved to Ankara to contribute to the War of Independence. He also worked as a teacher of Islamic sciences at Ankara High School. He also was appointed as the director of publications for the Religious Affairs and Foundations Ministry. After the Republic was established, Akseki stayed in government and operated as a bridge between the modernist Republic and traditional Islam. He worked for the Presidency of Religious Affairs, mainly making necessary publications. Indeed, the leaders of the Republic were not crucially against religion before the 1930s. They tried to find a way to make cultural reforms that the religious Muslim majority would adopt. Therefore, they decided to employ significant Muslim scholars like Akseki to translate Islamic classics into Turkish. Akseki had Elmalılı Hamdi Yazır translate the Quran into Turkish and write a Turkish interpretation. He also had Ahmet Naim translate a summary of the great hadith of Muhammad al-Bukhari. In addition, Akseki himself wrote some popular religious books, all of which aimed to teach people how to believe and how to pray. Thousands of copies of these books were published and used by the government until the 1980s. We can say that Akseki was responsible for essential religious publications in the Turkish Republic until the new Islamism took the stage in the early 1980s with a huge effort in translation and publication. Among the popular works prepared by Akseki, such books as "Yavrularımıza Din Dersleri" (Religious Lessons for Our Kids), "Askere Din Dersleri" (Religious Lessons for Soldiers) and "Köylülere Din Dersleri" (Religious Lessons for Villagers) should be noted. Alhough charged in the Court of Independence, a totalitarian court established to punish and silence the opposition, because of his membership in an Islamist organization in 1925, Akseki was soon found innocent and released. After that, he always worked for the government. Some Islamist adversaries, such as the famous poet Necip Fazıl, who attended his classes in high school, criticized Akseki because he worked for the secular state. Ye, some others think that Akseki gave his best efforts to help Turks better learn Islam. 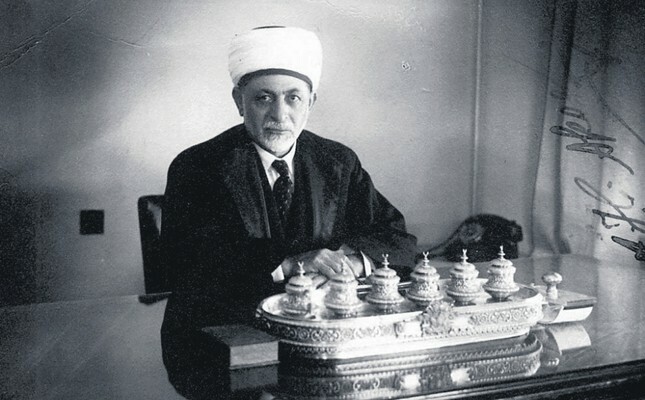 Akseki was appointed vice chairman of the Presidency of Religious Affairs in 1939. He became the head after the previous chairman, Şerafettin Yaltkaya, died in 1947. Akseki died on Jan. 9, 1951, during Democrat Party rule. He is buried in the Cebeci Asri cemetery in Ankara.